Its freaky Friday! I've traded places with Ada from Spark! I think you're going to enjoy all of her Etsy stained glass favorites. 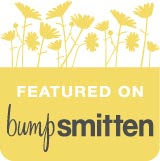 After you've read her guest post, be sure to hop on over to Spark! to check it out, and read my guest post. I have always loved stained glass. Recently, I feel like it has fallen out of mainstream favor. Maybe it’s thought of as too crafty and kitschy and not contemporary enough. 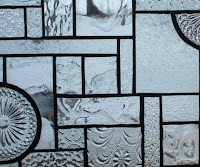 In my effort to BRING STAINED GLASS BACK!, I found eight gorgeous stained glass pieces on Etsy. 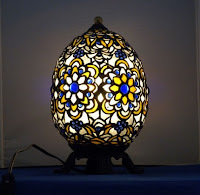 Look at this stunning Stained Glass Faberge Egg Light . This would look fabulous on a pedestal table in the nook of living room, or displayed prominently on a console table in a hallway. Let’s be honest – where wouldn’t this look amazing? 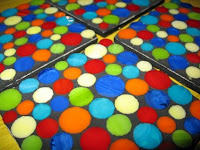 That is a tough act to follow, but I just fell in love with these cute stained glass mosaic coasters. They are a portable party! They would add mirth to any family room and they look sturdy enough to take on the back deck with a few cold ones in hand. And speaking of coasters, look at this beauty. The artist used vintage coasters throughout the piece to create texture and depth to the panel. I am imagining this panel hung in an elegant bathroom window with a vintage claw foot tub and pedestal sink. 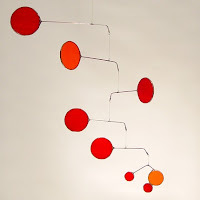 If you know me, you know my love of mobiles, so I could not pass up showcasing this neat piece of hanging art. I love the artist’s use of the different shades of red and orange. This would look terrific in a family room, bedroom or hallway with tall ceilings and plenty of natural light. 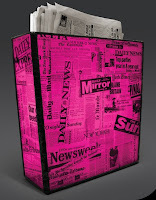 This in-your-face funky magazine and newspaper holder quickly grabbed my attention. I love the British-punk character of this mixed media glass piece. I would love it in my home office and can envision it looking right at home in a teenager’s bedroom. Only second to mobiles, I also have a mirror obsession, and I am enjoying the concentric, iridescent symmetry of the stained glass mirror below. 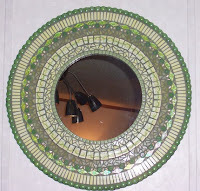 My favorite part is the outer ring of glass – each piece looks like rubbed river rock. Hanging in a front hall or over a dresser in a bedroom, this could knock your socks off! 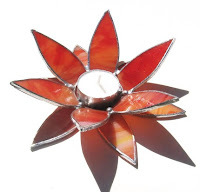 This delicate and creative candleholder struck my fancy. It can be displayed with all 12 petals facing upward or the bottom six petals can face downward, and the remaining six can face upward. Its layers and varied colors enhance the physical depth. I would love to place three or four of these down the center of my dining room table with a few, short-stemmed handpicked flowers in little vases at a dinner party! 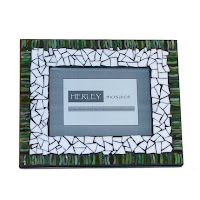 Finally, I was drawn to this intricately stained glass mosaic picture frame – isn’t it terrific? 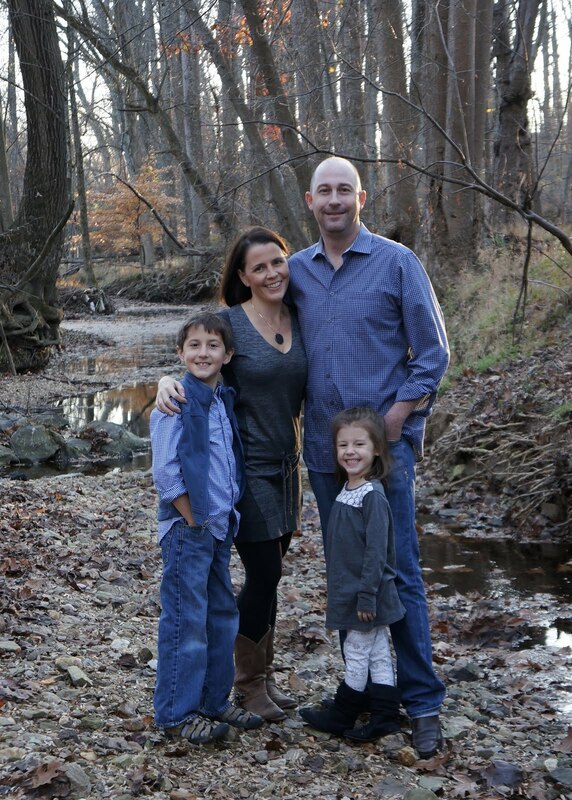 It would be a perfect backdrop for a gorgeously vibrant 5x7 color photo. I would display this proudly on my mantel or hang it with a few other frames clustered in a hallway display. So now, are you ready? Won’t you join me in my one-gal mission to bring stained glass back? ?